Having a personal car is comfortable and makes life easier, but it is also quite expensive. Owning a car is the second biggest monthly expense after the living space. But it does not have to be this way. Instead, your car can become a source of income. Have you ever thought about putting your car to earn money? Having a personal car means monthly expenses, which include gas, parking, insurance and service. These expenses can be decreased or even earned fully back when you rent out your car. For example, if you go to work to the city centre, you probably have to pay for the parking. These hours you spend on parking daily could bring you money instead. In addition to covering your monthly expenses, renting out your car can bring you an extra income. On average, a car owner at Autolevi earns around 200€ per month, which is a nice addition to the regular salary. With this extra income you can get closer to your dreams – whether it is a trip to the south, a summerhouse or a new vehicle. Statistics show that an average car owner uses his car only for 2 hours a day. The rest of the 22 hours the car is without a use. This equals 27 full days of unused time in a month. It would be practical and profitable to rent out your car on a safe platform, when you do not need it yourself. The number of cars in the cities is increasing and becoming a more serious problem day by day. The more cars there are, the bigger are the traffic jams, the more polluted is the air and the less there are parking spots. By sharing a car, you contribute to making the traffic smoother, the air cleaner and you also leave more room for other road users. Furthermore, you help the people who do not have a personal car for their everyday errands. Sharing economy gains more and more popularity. In the near future everyone can find a perfect car to rent just around the corner in their own neighbourhood. This means that you as a car owner have the opportunity to meet a lot of people from nearby. Who knows, maybe some of the neighbours even become your good friends? You should not be afraid of renting out your car. 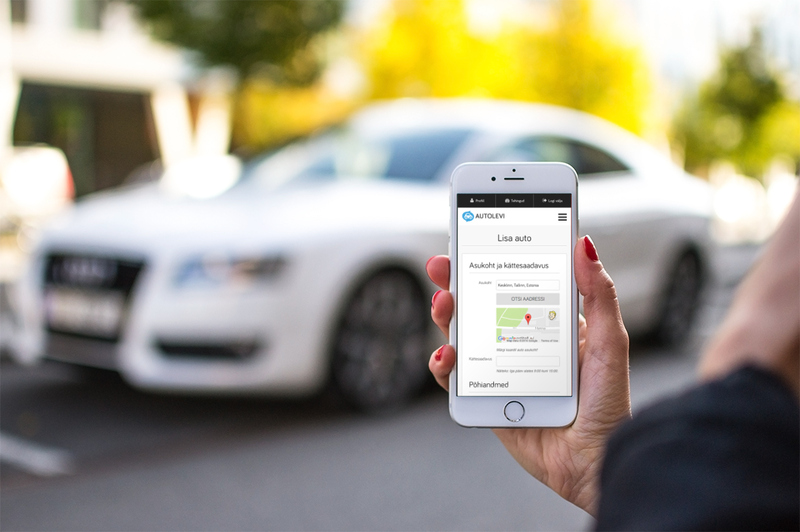 Autolevi does a background check for every user and car owner signs an official contract with the renter. In addition, you as a car owner have the right to decline the rental if the person does not seem trustworthy to you. Try out Autolevi’s easy-to-use and safe platform today.